Caption slip reads: "Daily. Photographer: Lapp. Date: 1958-07-24. Reporter: Frederick. Assignment: Interview. 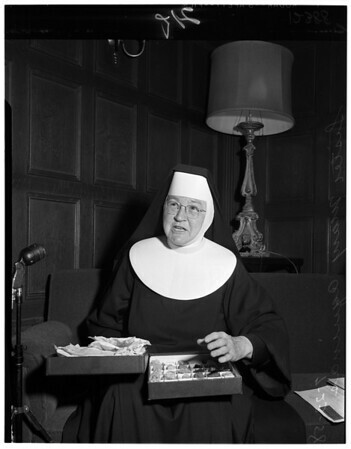 21/41/42: Sister Mary Aquinas, O.S.F. ".